Last week’s issue featured Latin American marketplace MercadoLibre’s outstanding success in the payments and fintech sectors. This Tuesday, March 13, Tech Crunch reported that MercadoLibre announced that the e-commerce platform will be receiving a $750 million investment from PayPal, and another $100 million from investment firm Dragoneer, as part of a $1.8 billion equity offering to grow its business. MercadoLibre, traded on Nasdaq, has a current market cap of $21.75 billion. MercadoLibre’s CEO, Marcos Galperin, also released a statement. Softbank made its first Latin American investment in Colombian startup Ayenda Rooms: LatAm’s first digital hotel chain. Ayenda, Colombia’s largest hotel chain, operates 45 properties, generating over $1M in revenue since its launch in 2018. As a budget hotel franchise, Ayenda’s business model involves exclusive marketing of the hotel utilizing the Ayenda brand, technology and acquisition channels, taking a percentage of all hotels’ sales in return. In December 2016, The United States passed the Global Magnitsky Human Rights Accountability Act, allowing the president to impose economic sanctions on human right abusers and corrupt government officials anywhere in the world. The U.S. has increasingly been using these sanctions to target LatAm government officials. Most recently, sanctions were imposed against certain government officials of the Nicaraguan Ortega regime, for accusations of human rights violations during the recent anti-government protests, killing hundreds of Nicaraguan civilians. These sanctions are used to promote American foreign policy and national security goals. This means that these sanctions are primarily imposed upon countries, governments or individuals that are hostile to U.S. interests. Once a sanction has been imposed, the individual or organization is automatically included in the Specially Designated Nationals And Blocked Persons (SDN) List, a “blacklist” maintained by the Office of Foreign Assets Control (OFAC): a financial intelligence agency within the U.S. Treasury. Chilean startup, NotCo, has convinced Jeff Bezos to make his first South American investment. 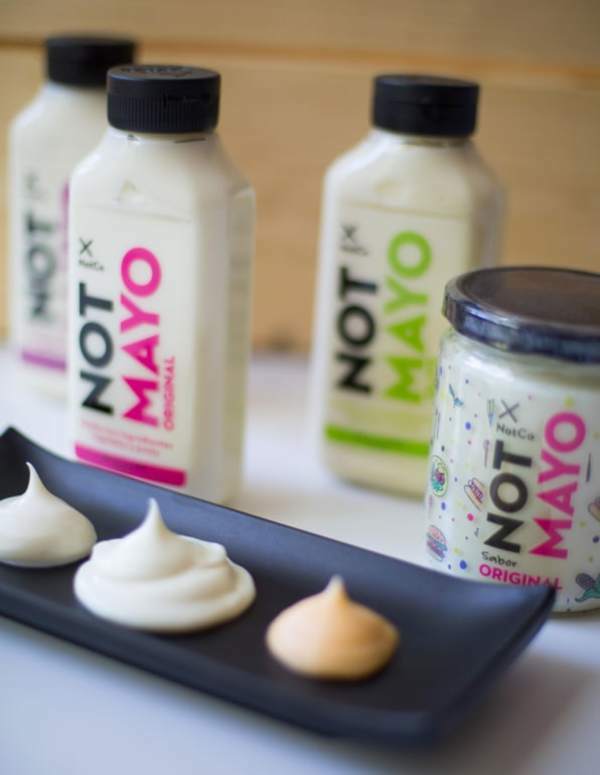 The plant-based food alternatives company that makes vegan mayonnaise, milk and ice cream recently closed a new round of funding, including millions from Bezos Expeditions. The funding round raised a total of $30 million USD. Earlier investors also joined the round, such as Kaszek Ventures and IndieBio. 2018 laid important groundwork for Latin American consumer retail. Important factors include: the election of business-friendly administrations in Brazil, Chile and Colombia, economy recovery yielding increased consumer confidence, and e-commerce growth and significant development of on-demand companies such as Uber and Rappi in the region. 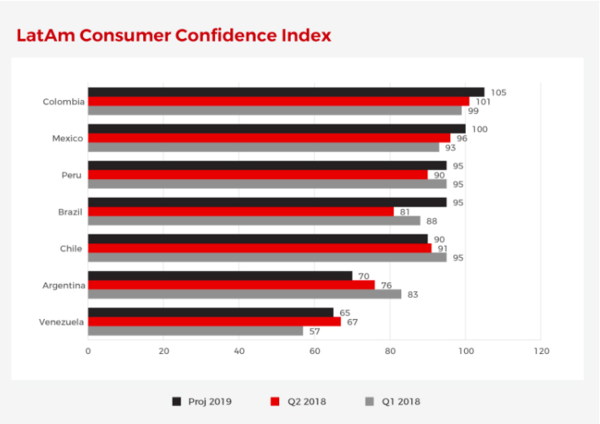 As economic recovery continues, consumer confidence will increase and encourage LatAm consumers to switch from savings to spending. In terms of potential negative outcomes for Latin American retail, problems are most likely to derive from specific markets rather than the region as a whole. In Mexico, investors may be wary of President López Obrador’s leftist policies, creating potential capital flight which would impact consumer and retail sales. In the case of Argentina, the country’s recession will likely continue through the first half of 2019, caused by a 52% currency depreciation, therefore creating a downturn for consumer spending. The political uncertainty of the Venezuelan regime also plays an integral factor in their local market’s retail and consumer sales, as crisis continues. Last week, scooter company Bird announced it will be expanding its platform program, which licenses its business model to local operators in exchange for 20% of their revenue. The $2 billion company has announced the expansion of this platform to Latin America, Canada, and New Zealand. According to VanderZanden, the company simply cannot expand into every geographic area at once, so its strategy for entering global markets is to partner with local operators and take share of their success, a decision that will in turn lower risks of a costly international expansion plan. MercadoLibre’s CEO Marcos Galperin keynote speech at eMerge Americas 2018 discusses Latin American e-commerce.